This year, the Chinese year 4710 begins on January 23, 2012. The Chinese all over the world are celebrating the New Year with a new sign, the dragon. But what are the Chinese up to during the New Year Chinese festivities? Chinese families celebrates Chinese New Year by using a different mix of their traditions, beliefs, superstitions, lucky signs and charms. According to Chinese legend, a long time ago, the gods called together all the animals on the planet, and told them that there will be a race. The first twelve winners will be included in a special list that they were coming up with. So on the chosen date, all the animals lined up and started to race each other. Being the smallest, the rat was able to weave its way through and under all the other animals and ended up crossing the finish line first. Next came the ox, followed by the tiger, the rabbit, the dragon, the snake, the horse, the goat, the monkey, the rooster, the dog, and lastly, the pig. That’s how those twelve animals ended up representing the twelve animal signs of the Chinese zodiac, each with its own specific characteristics. 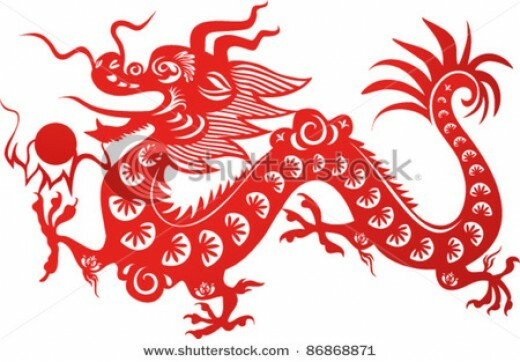 For the Chinese, the dragon is the luckiest and most auspicious of all the animal signs. Chinese parents want their kids to get married in the Year of the Dragon. Chinese couples rush to make “dragon babies” because they’re supposed to be lucky. You can just imagine the number of Chinese babies that will be born this year. In addition, for Chinese, new year meant decorating and wearing red, having lots of food at home, attending fireworks and parades, and having lots of red envelopes with money inside. There would be round fruits so that there’ll be lots of money, and pineapples for prosperity. A big fried fish would also be present because fish supposedly represented abundance. A lot of Chinese also make it a point to visit Chinese temples on Chinese New Year’s Eve to offer incense, pray to their ancestors and consult the resident geomancer about their fortunes for the coming year. Chinese families also visits their friends and relatives, and participate in the lantern festival. Families also clean their homes, because they feel that it will remove bad luck and ill-fortunes. The highlight of the lantern festival is the dragon dance. The dragon–which might stretch a hundred feet long–is typically made of silk, paper, and bamboo. The Chinese New Year is celebrated in China, Taiwan, Bhutan, Korea, Hong Kong, Macau, Indonesia, Singapore, Malaysia, Thailand, Philippines, and Chinatowns around the globe. Chinese New Year is the longest and most important celebration in the Chinese calendar. It usually lasts three days. To all the Chinese around the world, Happy New Year 2012 to all of you!